As a metal roofing company, we field inquiries pretty regularly about the “best" metal roof or the “best gauge” for a metal roof. While it would be wonderful to have a pat answer for these questions, it's not that simple. That's because different gauges work best for different metals, applications, and profiles. Here's what to know about the right gauge for the job. Higher-end projects with a tougher specification - think very steep roofs or vertical walls - tend to be handled best by the heaviest gauges. On the opposite end of the scale are thinner gauges for projects and features like agricultural, exposed fastener, and low-end jobs. It's important to remember that the gauge of a metal gets higher as the metal gets thinner. The same is true of sewing needles. That means a 22 gauge (or 22GA) metal roof could be close to double the thickness of a 29 gauge (29GA) metal roof. It's a little confusing, and it gets worse, because different metals also use different measuring standards. For example, a 24 gauge copper roof panel isn't the same thickness as a 24 gauge steel roof panel. To further complicate the issue, remember that the profile into which the metal is formed also affects the suitability of various metal gauges. You can use a piece of paper to illustrate this. Hold the piece of paper between your fingers so that it hangs down toward your desk or counter. Lower the paper to the surface and see it will support itself. Obviously, it will not do anything beyond collapsing But if you take that same piece of paper and put two or folds down its length, it will indeed support itself. That's because you've "added" strength with the addition of those folds. The same concept applies with the sheet metal used to make metal roofs. The more complex and smaller the shape, the more suitable a lighter gauge (or higher gauge number) metal. The fewer the folds and the greater the distance between them means that a heavier gauges (or lower gauge number) is probably needed. You can find manufacturers who form profiles in gauges thinner than 26GA, but we aren't one of them. Most of our products are 24 gauge and heavier. If your project only calls for a "minimum" thickness, 26GA or 28GA are the common options. If you’re considering a better quality installation - one in which long-term appearance and resistance to extreme weather will be critical - it's worth comparing 24GA and heavier. When comparing metal roof prices, it's important to understand how gauge affects the bottom line. 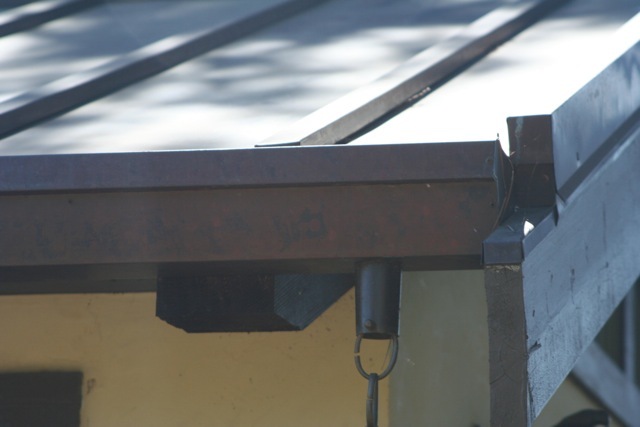 Two roofs that look the same may have completely different thicknesses of metal. Almost always when you're looking at the same metal, the heavier gauge material will be stronger, more wind resistant, more resilient to foot traffic, and longer lasting. If you have a metal roof project in the works and you need help specifying and sourcing the best version for your job, Metal Roof Network can help. Contact us now and we’ll help you select the best type and gauge of metal roof for your project.